Decorating your home and having a lovely abode which shows your personality to the world is becoming common, and everyone would love to have a neat and pleasant home that exhibits their charm. With home decor becoming a big industry, there are many items available to choose from, and in a wide range of prices that vary from low to high. People who have the intention of decorating their home can splurge on these commercially available decorations, or they can be just creative and do something on their own. With many people looking for cost effective and budget makeovers to their homes, generally, many of them opt for DIY projects which pay them off well, with the world loving their idea. 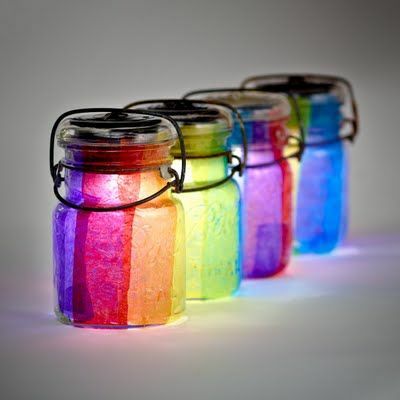 One such DIY which is lovely and is accepted worldwide as a pleasant and must- do projects are the glass jar DIY. We all tend to have glass jars lying around our home no matter what we do to avoid them. Usually, these glass jars are used to store some household items or stacked in a kitchen pantry. If the house lady is creative enough you can see that they are also used to decorate homes. 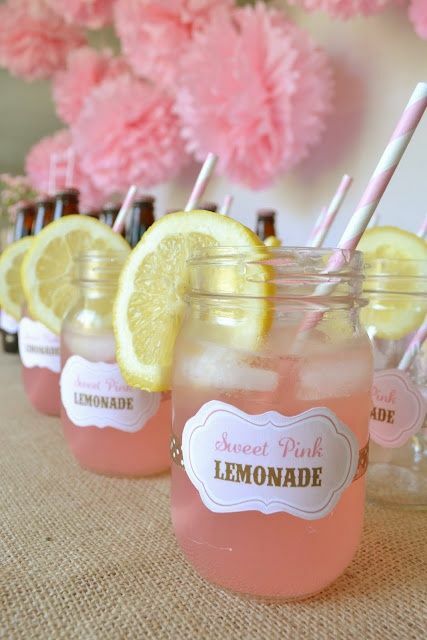 Jars are used in many ways in decorations. They act as a perfect vase, candle stand, a garden votive, etc . 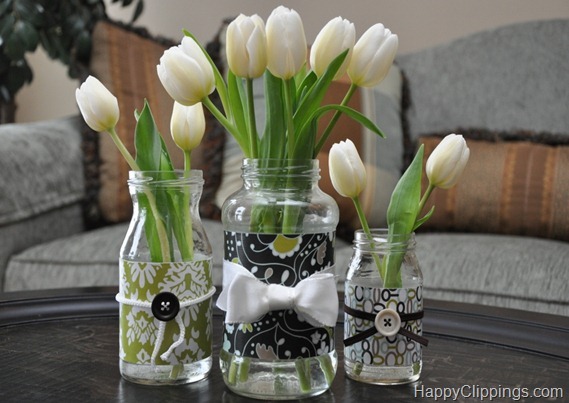 Glass jar vases are an awesome, yet easy DIY projects that anyone would love to do. If you are looking for some ideas how you can transform your old unused glass jar into a beautiful lovely storage bottle or as a vase, then you have landed on the perfect page! We here at “decorhomeideas” have collected beautiful pictures of paper decorated jars which are adorable and easy to make. These paper decorated jars are breathtaking, check it out! These paper decorated jars look elegant with bright and bold designed decorative papers embracing them. To highlight the decor, the use of the simple button and bow ties works just perfect. 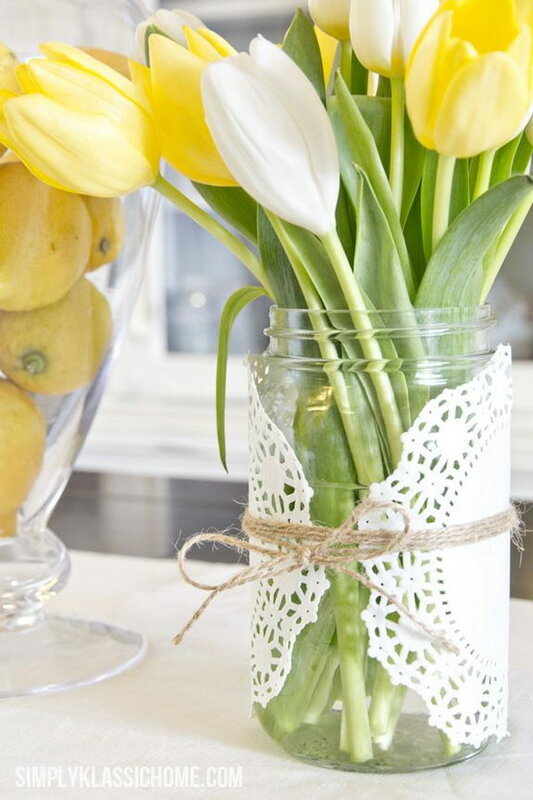 A perfect way to use paper doilies to revamp any glass jar. The design of the doily looks beautiful with the see through glass, and enhances its each and every intricate detail, making this paper decorated jar look great. 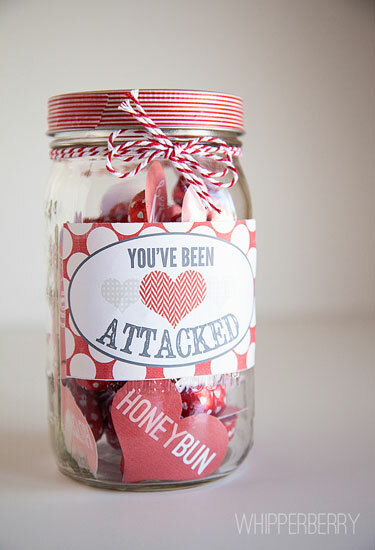 This paper decorated jar is a perfect way to decorate your gift jars. The bright and beautiful scrapbook paper enhances the beauty of an ordinary looking glass jar to a vibrant and lovely way to present the flowers. An amazing way to display the word you love the most! 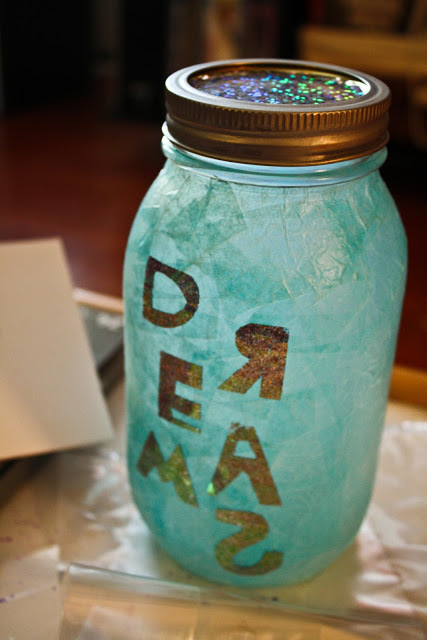 This paper decorated jar displays the word “dream” in a beautiful shimmery golden color, which perfectly complements the light turquoise background. An easy and simple Christmas decoration is all about this paper decorated jars. 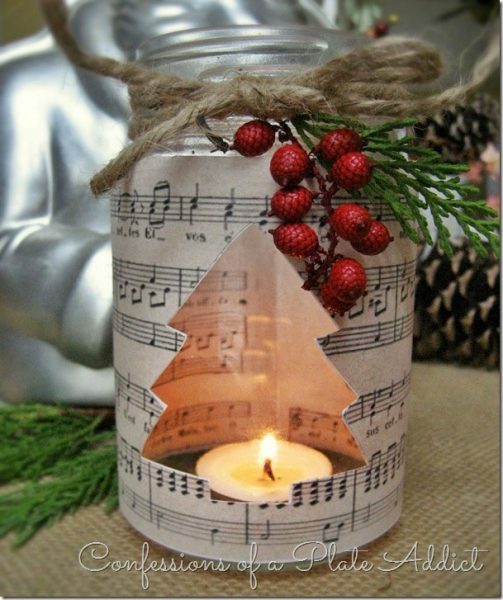 The beautiful musical notes decorative paper cut to the shape of Christmas tree and the bright red berries tied to the neck of the jar are just brilliant. This is a perfect way to decorate any glass jar as a candle votive. 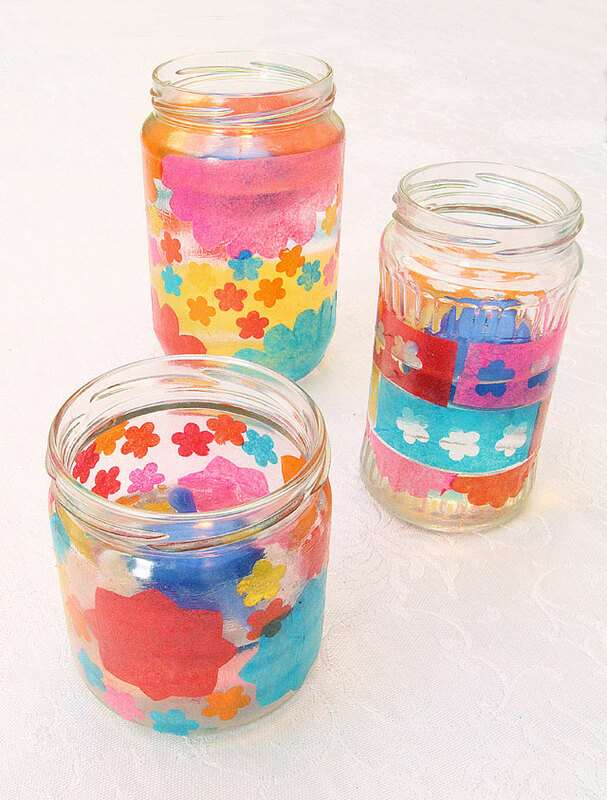 The colorful papers make these paper decorated jars look amazing with a lit candle inside. This is a lovely way to use paper punches. 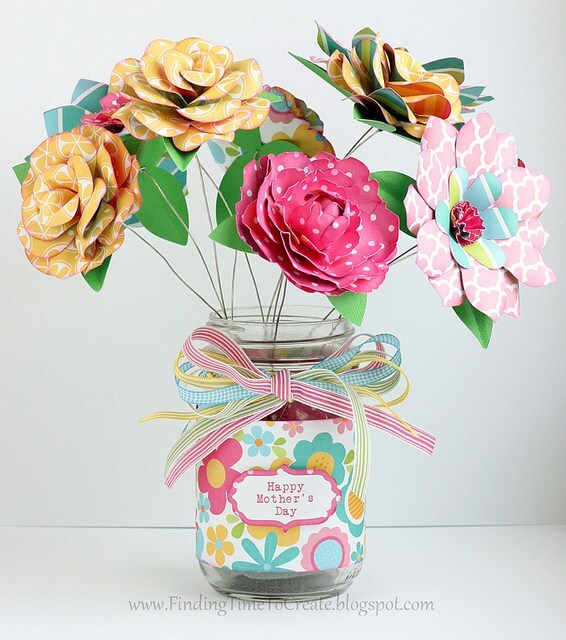 The overlapping of different sized and colored floral paper punches, when stuck to the glass jar from inside, creates a beautiful paper decorated jar which will look wherever you decide to put it. 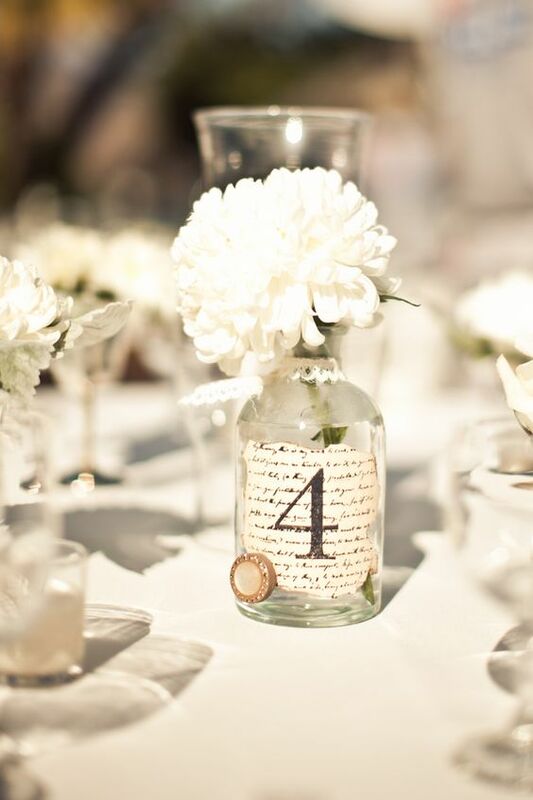 Another stunning way to decorate your unused glass jars is by making use of abstract paper cuttings. This creates an absolutely lovely piece for your dining centerpieces. 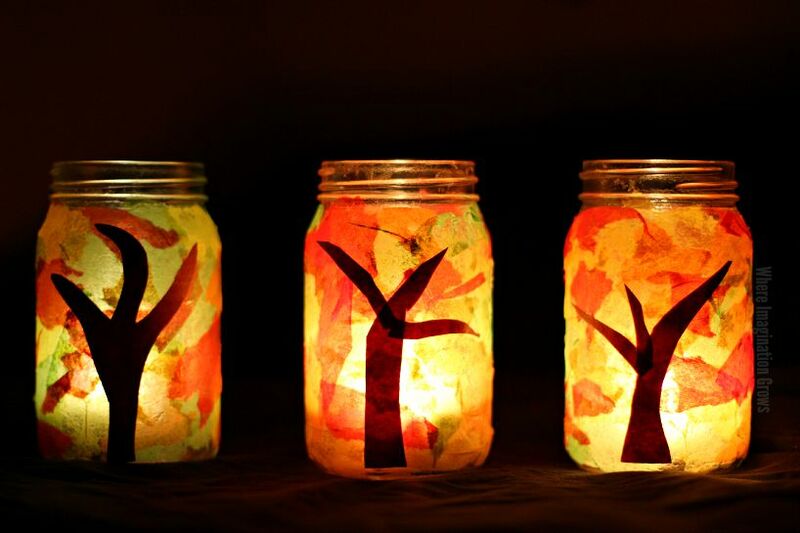 The abstract background of these lovely paper decorated jars is just perfect for the tree-shaped cuttings. 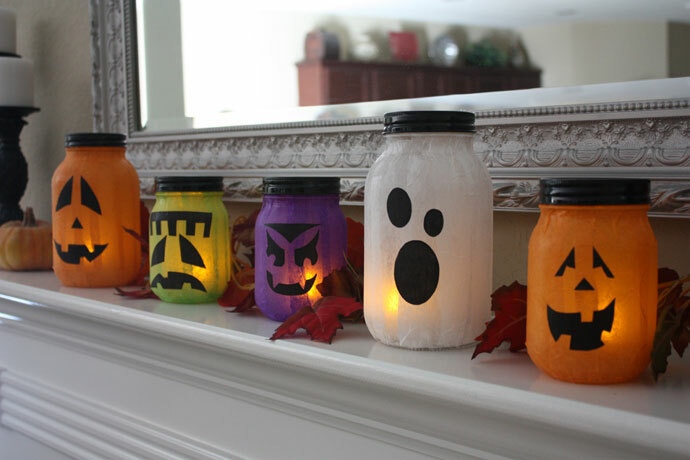 Spice up your Halloween decoration this time by making these stunning paper decorated jars. The Halloween faces used in black on a different color background is definitely in the holiday’s spirit. This is a beautiful way to make something so simple look elegant. 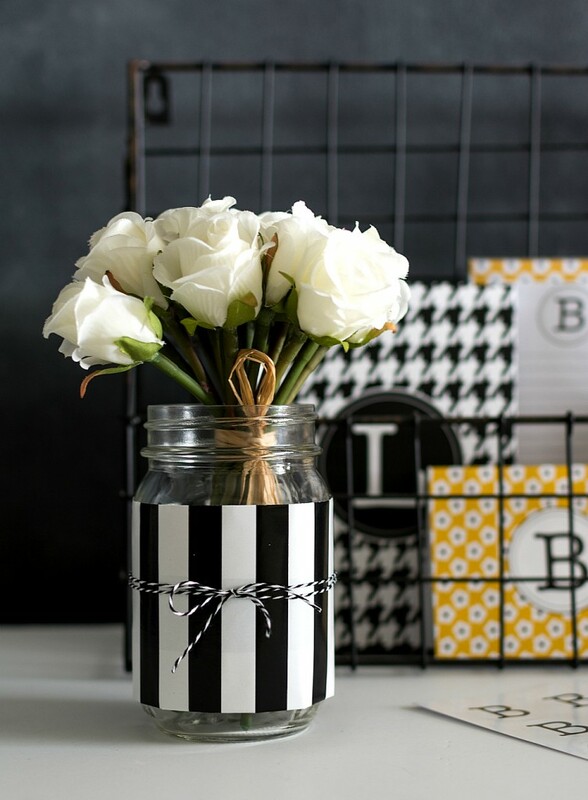 The black and white stripes of the scrapbook paper used here, give this paper decorated jar a lovely look, and not to forget that tiny black and white thread is the perfect finish for this DIY. This is a beautiful way to display your photos. Take a print out of any photo you wish to display, print it on a paper, and put it inside the jar properly in order to get this lovely photograph jar. 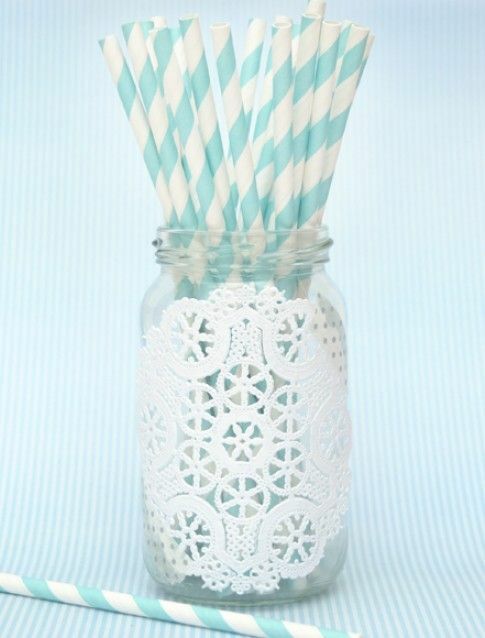 Another classic way to decorate the simple glass jar is by tying up punched paper doilies using a jute thread. This looks as a very chic and elegant manner to hold your lovely flowers. 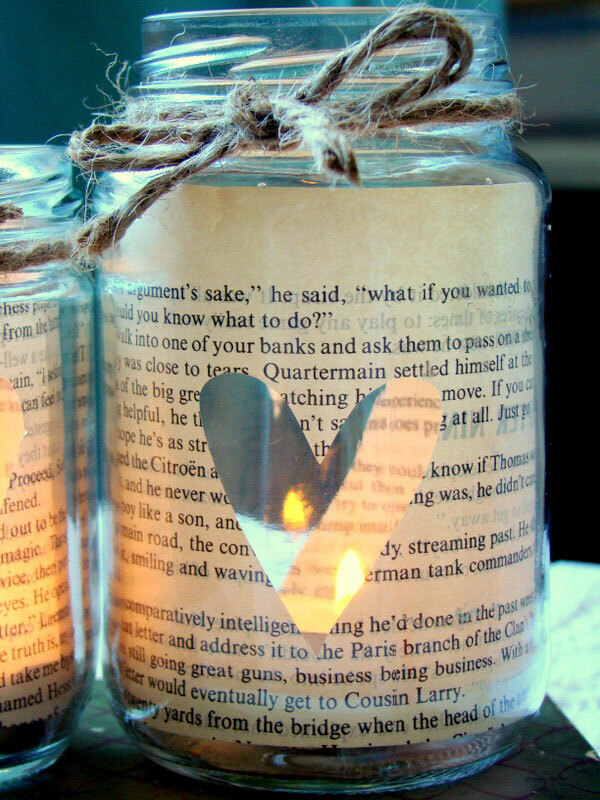 Yet another way to create a lovely paper decorated jar, is by using a printed sheet from an old book. 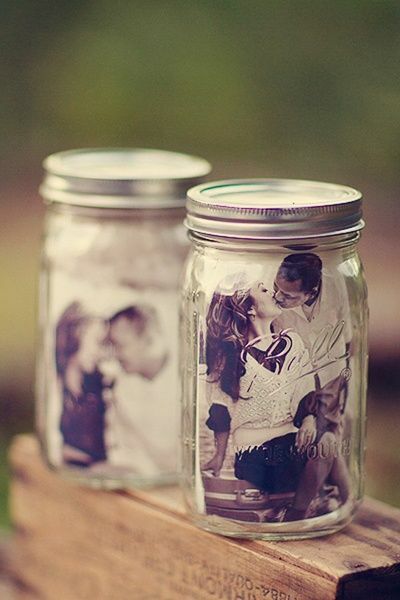 This gives the jar a rustic look and makes it an eye catcher. The lovely heart shape cut in the middle is absolutely cute. 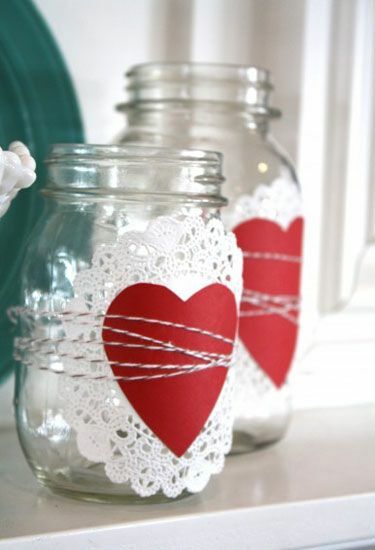 This white and red themed paper decorated jar, is the perfect romantic gift jar. The lovely polka dotted paper used for the wrap, and the red and white themed thread and washi tapes for lid makes it complete. Having a simple note as above, would make any jar perfectly practical and pretty . 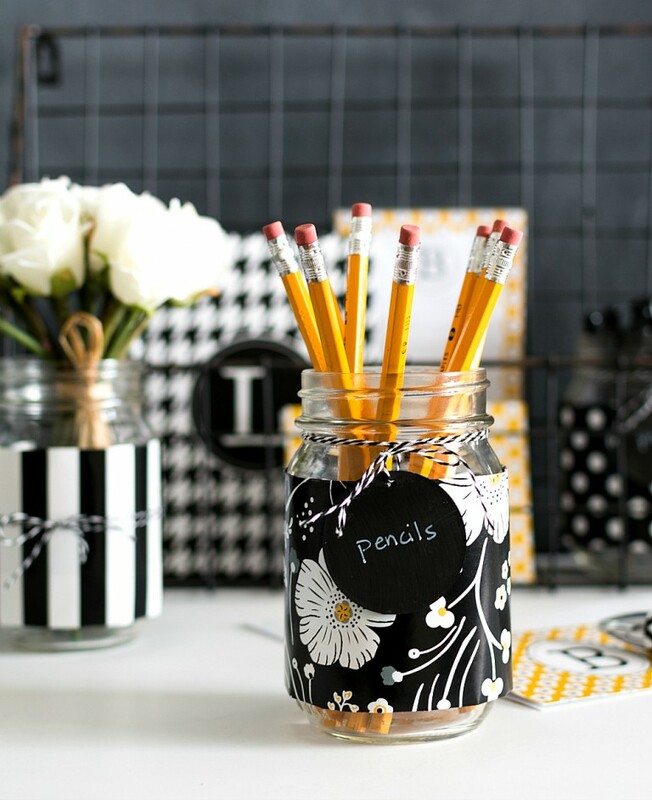 The little polka dotted lace which is holding the note is just a tiny detail adding up to the overall cuteness of these jars. Another easy way to have a colorful jar for votive and storage purposes is to decoupage it with a colorful paper of your choice. The picture is a perfect example of that. 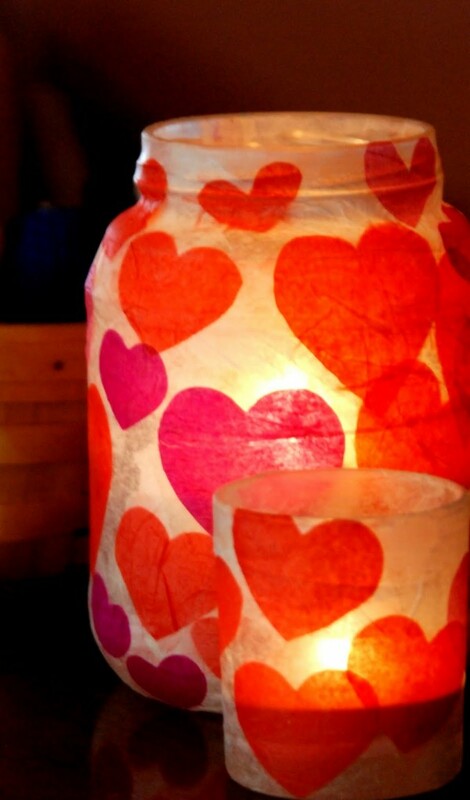 This beautiful red heart shape on a white background makes this paper decorated jar a perfect vase or candle votive for a romantic dinner. This beautifully printed scrapbook paper works great for this tiny jar . We just love the little detail of the round punch carrying the name “pencils: as it looks cool and very practical in use as well. You can decorate your jar with any old newspaper piece and embellish it with buttons like in the picture above. This paper decorated jar is a perfect fit for garden dining. You can always vouch for a classic look by using animal skin print papers. 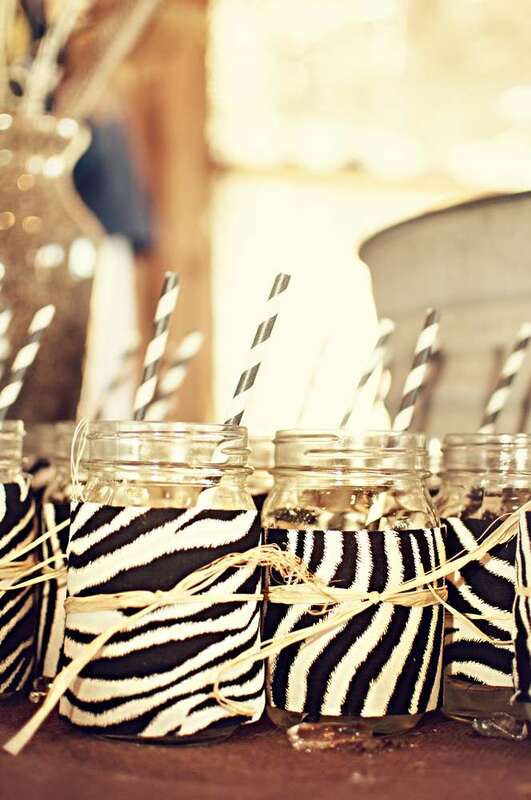 The zebra skin print above looks very classic and elegant. This paper decorated jar is suitable for a themed party. 20 Creative PVC Pipe Ideas Anyone Would Use!